This message was preached by Colin D'cruz at Word of Grace Church on June 4th, 2017. To listen/download the audio please click here. To listen to the Sunday's worship and prophetic contributions please click here. We celebrate Pentecost Sunday today, 2 thousand years ago. 4 times in the gospel, Jesus is introduced by John the Baptist. Matthew 3:11; Mark 1:8; Luke 3:16 and John1:33- All introduce Jesus as the one who will baptise us with the Holy Spirit and Fire. In verse 35, he looks at Jesus and says behold the Lamb of God. We all know Jesus as the Lamb of God. He takes away our sin. Without the shedding of blood there is no forgiveness of sin. Jesus shed his blood for us. We are so aware of that and thankful. But 4 times John the Baptist said he is the baptiser who baptises us in the Holy Spirit. Jesus appeared to his disciples after rising from the dead. He came alive and went to his disciples- he spent 40 days with them. Then he asked them to wait for the promise of Father. Q. 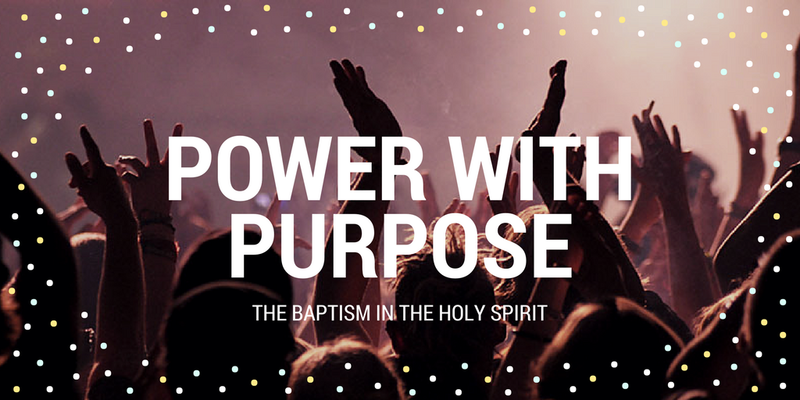 What is the purpose of the Baptism of the Holy Spirit? In Acts 1:8- The reason is that we will receive power. It is not for ourselves, but to go into the rest of the world and tell them about Jesus. As we go out and preach the word, there is power for wonders and miracles. In the Old Testament, the Holy Spirit was poured out on specific individuals from time to time. Judges 6:34- the spirit of the Lord clothed Gideon. It was only on this one person. 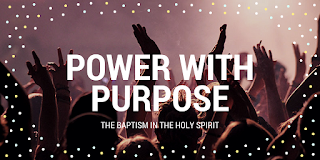 Baptise is another word that means immerse. There is no significance in the word. It is like dying a piece of cloth. You baptise the cloth, and when it came out, the cloth was transformed. When we are immersed in the Holy Spirit, there is a transformation that takes place. Paul is saying that by the power of the Spirit of God, I have preached the Gospel. They are able to tell people to repent and accept Jesus as Lord and Saviour. 2. They were all praying. Q. what were they praying for? Jesus said they will receive the Holy Spirit. So maybe they were praying for the Holy Spirit. The Father is not reluctant to give us the Holy Spirit. John 14:16- Jesus too is praying for us to be Baptised in the Holy Spirit. So, it is not just us, but also Jesus who is praying for us. John 16:7- Nevertheless, I tell you the truth: it is to your advantage that I go away, for if I do not go away, the Helper will not come to you. But if I go, I will send him to you. Acts 2: The jews had 3 pilgrimages they celebrated. All the jews from around the world come to Jerusalem. Pentecost was one of those days. It is 50 days after the Passover. It is also the feast of the harvest. This was a supernatural manifestation of the Presence of God. This was the result of being filled with the Holy Spirit. When people are baptised in the Holy Spirit, everyone was amazed. They thought they were all drunk. Then Peter stood up and said this. Later, through a vision to Peter, he received revelation that the Spirit was poured out for Gentiles as well. One of the signs of being baptised in the Holy Spirit is that they were speaking in tongues and declare God’s praises. That is what they saw the Gentiles doing. Acts 9:17- this is how Paul got filled with the Holy Spirit. Ananias laid his hands on him to be filled in the Holy Spirit. Jesus is saying that a thirsty person will become the source of that water. In all these things, we need to believe. We need to believe Jesus. Take him at his word that we will be filled and streams of living water will flow out of us. We need boldness. Peter, on the day when Jesus was crucified, he was so afraid. He denied Jesus to a servant girl. But after being baptised in the Holy Spirit, he stood up boldly and proclaimed the gospel. We can’t do what we are called to do, without the Holy Spirit. We need Him for the wonders and Miracles that point to Jesus. D L Moody was a great evangelist who preached and 2 old ladies would pray for him to be baptised in the Holy Spirit. On the road one day, he got Baptised in the Holy Spirit. When he came back and preached the same things, multitudes were converted. This is a supernatural power. Our motto is enjoying God, making friends, changing lives. We want to see transformation of lives. This weekend, there was another terrorist attack in London. I was thinking about the power of the Bible and the work of the Holy Spirit. The terrorists, who come from an Islamic background, were filled with another Spirit and they killed many people. On the other hand, there is Abdullah from an Islamic background, filled with the Holy Spirit. What is he doing? He is preaching the Gospel. Look at the difference! When the Holy Spirit fills us, it is an amazing thing. He manifests in different ways, as He wills. Expect to receive him.